LOVED-up couples looking to marry will be forced to pay more for a civil service under a Federal Government crackdown on wedding celebrants. From July 1, Commonwealth-registered marriage celebrants will be required to pay a once-off $600 registration fee and a $240 annual charge to be able to preside over a couple’s wedding day. But the charges will not apply to Ministers of any of the more than 100 religions recognised under the federal 1961 Marriage Act. Civil celebrants, who are now performing almost 72 per cent of marriages in Australia, have accused the federal government of being unfair and warned they will be passing on the new charges to couples headed for the alter. Australian Marriage Celebrants vice president Gail Nagel said that with a much large number of religious Ministers authorised to perform wedding services, it was “discriminatory” for the Commonwealth to require registered marriage celebrants pay an annual fee. “Professional, long term, committed celebrants wishing to remain in the industry have no choice but to pass on this new cost to their clients, that is if they wish to continue in a role they chose for all the right reasons,” Ms Nagel said. 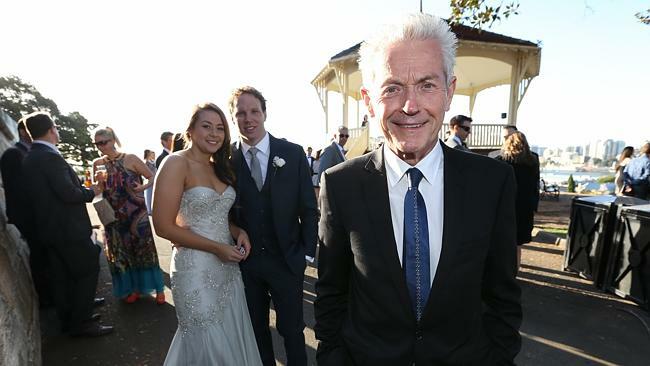 Sydney celebrant Martin Moroney said he expects the new charges will see couples paying around $20 more to get married. “Celebrants, who do a lot of marriage ceremonies and who are running a business will probably pass on the additional charges. The net result is that they will probably increase their fees by say $20 per marriage,” Mr Moroney said. But Mr Moroney, a celebrant of eight years, said successful weddings needed competent and experienced celebrants. In 2003 there were just over 3300 Commonwealth-registered marriage celebrants, that figure has now jumped to over 10,400. While religious Ministers are excluded from having to pay the new charges, a much smaller number of ‘religious celebrants’ whose religion is not recognised under the Act, will also have to pay the fees. A spokesman for Attorney-General George Brandis said the celebrant charges would not go to the government’s budget bottom-line, but would be used to administer the Commonwealth Marriage Celebrants Program, and allow the government to better scrutinise prospective celebrants. “The measures will provide marriage celebrants with access to improved support and guidance from the government which will help them to better serve marrying couples,” the spokesman said. Next PostMother of the bride moments!